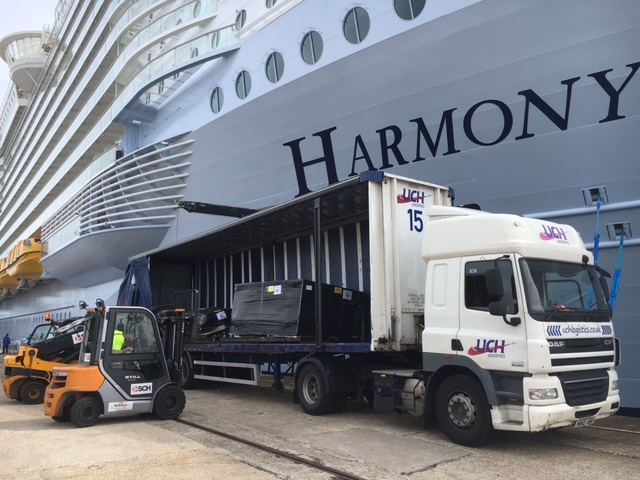 Sister company and port terminal operators SCH, which sources a significant amount of its cruise ship labour through Pathfinder, expect one of their busiest Southampton cruise ship seasons for many years in 2017 by handling around 100 ship calls, with more than half under the umbrella of Royal Caribbean Cruises Ltd (RCL).. It will be the third successive year that SCH has provided port handling services for Royal Caribbean International (RCI), with Independence of the Seas and Navigator of the Seas based in the port from April to October. Ship operations will mean turnarounds of some 8,000 passengers, with SCH providing mooring, baggage and stores handling. In addition, SCH will handle nearly 20 turnaround calls with additional Royal Caribbean Cruises Ltd brands Celebrity Cruises and Azamara Club Cruises, along with day calls in Southampton by TUI Cruises Mein Schiff vessels. Independence of the Seas and Navigator of the Seas will be operating a wide range of itineraries from Southampton, primarily on a fortnightly basis, that include the Mediterranean, northern Europe, the Canaries, Baltic and the Norwegian fjords. In addition, SCH will handle Southampton calls of Saga Cruises and Silversea Cruises, the latter a new addition to its 2017 business. The cruise ship handlers also provide similar cruise ship services at ports throughout the UK including Liverpool and Portsmouth.